Everything evolves and to prove it, just look at the fabulous new Nissan Navara. If you had the old truck, prepare yourself for a shock. The old Nissan Navara was rugged, workmanlike, and in all but the highest spec models, was utilitarian. Times change, and so has the Nissan Navara. The old model was definitely showing its age and although it was always happy digging its heels in a muddy field it was never really happy ferrying the family around or doing the supermarket run. The new Nissan Navara is completely different beast and whilst it still does all the hard stuff it’s become famous for, its now equally at home down the Kings Road as it is off road. We tested both the King-Cab and Double-Cab models. There is no confusing the old Nissan Navara from the new one even on first appearances. The new truck is a gargantuan beast at well over 5 metres long and almost 2 metres wide, yet despite this, it even looks bigger than it actually is. The Navara is as imposing as a Spanish fighting bull with its wide chromed snout and monster-truck like stance, this is a vehicle you would be definitely be scared to see in your rear view mirror…and maybe that’s enough reason to order one already. Performance wise, the old Nissan Navara would get to 60mph… eventually. New Nissan Navara is fitted with a seriously muscular 2.5 litre, common rail diesel powerhouse, which delivers a heavyweight punch, which we certainly wouldn’t have associated with a 2-tonne monster such as this. Indeed, with 174 shire-horses under that expansive bonnet, this pick-up is more powerful than any other pick-up in the class and really has the power to surprise. On the road we found the Navara to be a comfortable motorway companion, especially with the benefit of the full leather upholstery that comes as standard on the Aventura Double cab model we tested. The interior is more Giorgio Armani than the George at ASDA trim of the old model, with an easy to use layout, and a fantastic level of material quality, fit and finish. Compared to its rivals, the interior is truly of executive car quality. The Nissan Navara can be ordered with goodies galore, such as climate control, cruise control, 6CD changer, automatic lights and wipers, and Nissan’s brilliantly intuitive ‘Birdview’ satellite navigation system. The clear 7.5 inch colour display and simplicity of this system makes it one of the best systems we have tried. Don’t get us wrong, despite all those toys the new Nissan Navara hasn’t shunned substance for style. It’s still more than happy to roll up its sleeves and get to work should you feel the need, with its high ground clearance, switchable 4-wheel-drive system, and with limited slip differential as standard across the range. With a payload of over 1-tonne, and a big, versatile load bed, the Nissan Navara is equally happy carrying a straw bale as it is the supermarket baggage. Whether it’s surfing, supermarket, or school run, the Nissan Navara takes it all in its stride. Despite appearances, we really did find it a doddle to jump in and drive, all the controls having a light, positive action, whether you are mooching around the city streets or taking on a challenging country road the Nissan Navara is solid and stable at all times. The Navara will easily accommodate 5 adults, although the centre seat on the rear bench may be a little cramped for some. A notable feature on the King-Cab models are the rear doors which open ‘suicide style’, giving easy access to rear compartment. The King-Cab models also have a slightly longer load bed. Safety is an important priority for Nissan and all models have driver and passenger’s airbags, Anti-lock braking system, Electronic Brake Distribution, and Nissan Brake Assist, which senses an emergency stop situation and automatically increases braking effort, to reduce stopping distances by up to 15%. We were hugely impressed with the New Nissan Navara, and based on our experience with the car we think its one of the best vehicles of its type we have ever seen. Starting at under £15,000 and rising up to over £22,000, the Nissan Navara allows you to pick the truck that fits your business and lifestyle best. In the higher specification versions, this really is a vehicle that lets you enjoy a double life as you can say goodbye to your family car and goodbye to the works van and replace them both with the Nissan Navara, how economical is that! We loved the Navara with its quality build, high level of specification, comfort, and on the road capability. Plus, we adore its Tonka-toy looks! 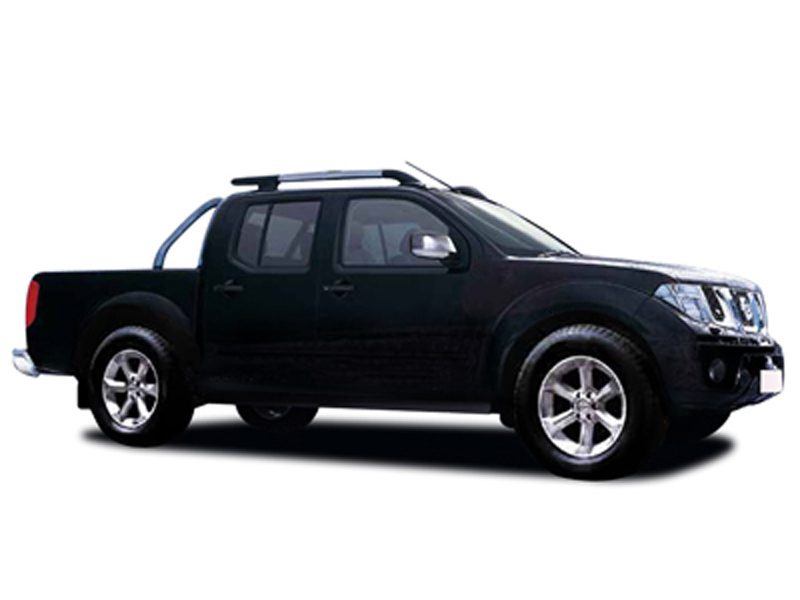 If you are looking for a vehicle that knows how to work hard and play hard, the Nissan Navara is for you!